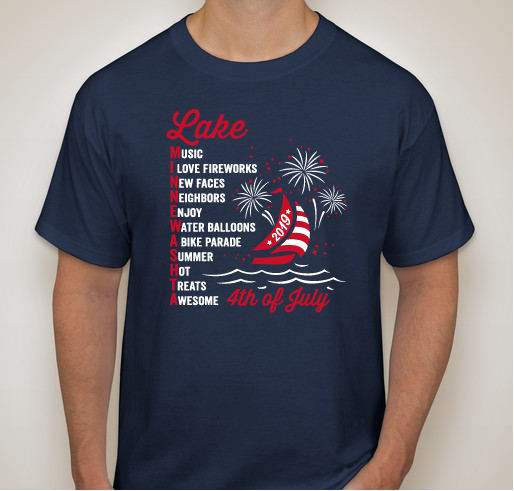 All funds raised will go directly to Lake Minnewashta Preservation Association . 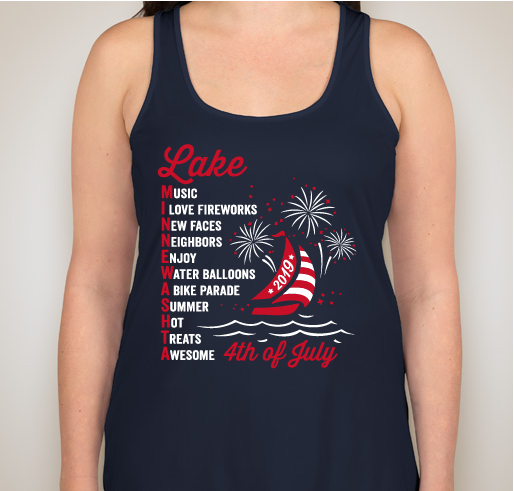 Look stylish and support the Lake Minnewashta 4th of July Celebration & Ski Show with the purchase of our very own custom T-shirts! Don't forget to order for your friends, family, and guests!! 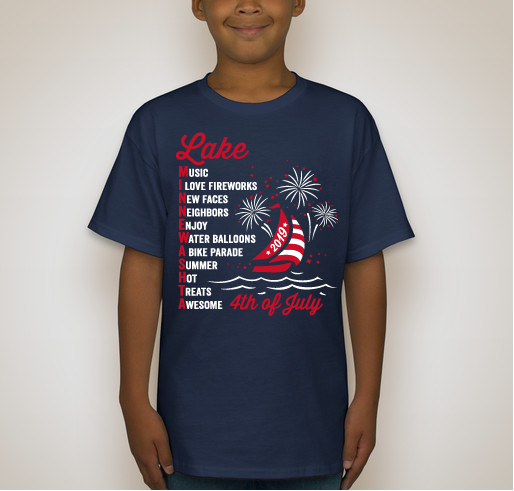 Contest winner for Tshirt design: Ruby Kirk. 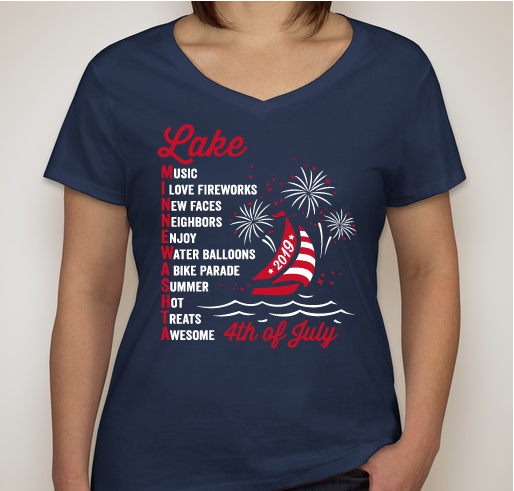 We loved that it captured the spirit of our fun community event, spelled out with the letters of our favorite lake! Thank you to Ruby and everyone who submitted design ideas!! *Please note t-shirt purchases are NOT tax deductible as there is an exchange of goods. Thanks for your understanding! 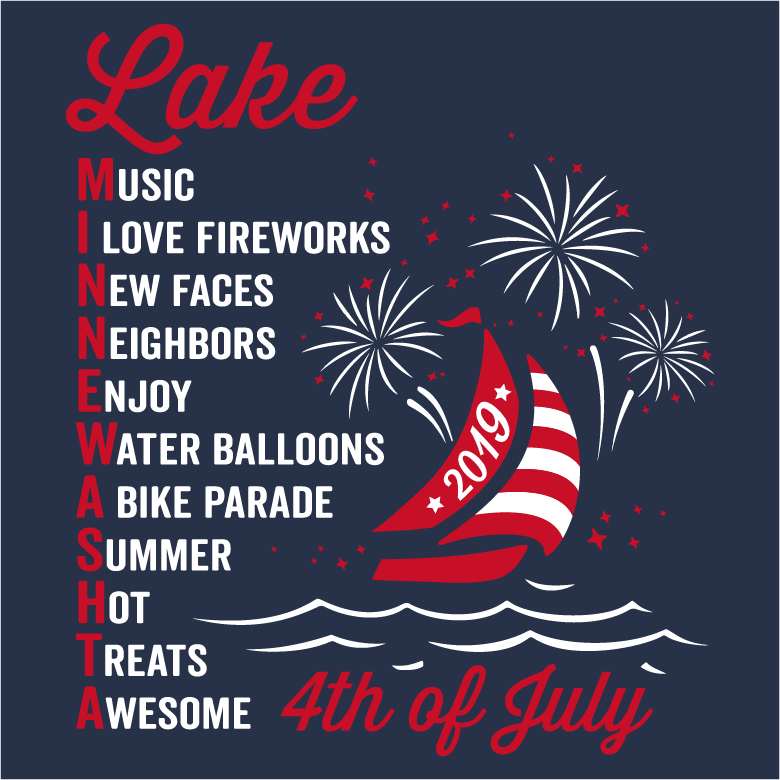 Share Why You Support "Lake Minnewashta"